O2 is to install 300 small cells across London in a move that will boost mobile coverage in some of the busiest parts of the capital and lay the foundation for a more rapid 5G rollout. The operator is working with Arqiva which has contracts with several London boroughs to roll out mobile infrastructure on council assets such as lampposts. The initial deployment will take place in 14 boroughs, including Hammersmith and Fulham, Richmond upon Thames, Wandsworth, Camden and Lambeth, and target busy areas like transport hubs and busy shopping streets. “New types of mobile infrastructure are now required to meet the needs of the mobile network operators and their customers,” said David Crawford, MD of Telecoms and M2M at Arqiva. The first sites will be live by this summer and all will be active by 2020 – the same year that the first commercial 5G networks in the UK are expected to go live. Small cells will play a critical role in densifying networks with high capacity spectrum in crowded areas to support enhanced mobile broadband and new applications. 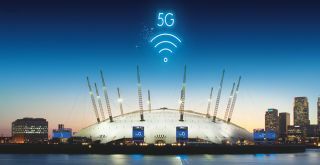 O2 is to turn the O2 arena into a 5G testbed later this year and recently won 3.4GHz airwaves in the Ofcom spectrum auction to power its 5G services. It has previously called on stakeholders, including operators, local councils and government, to work together to ensure the UK is a 5G leader. “National 5G infrastructure – when it arrives in a few years’ time – will not only have a crucial impact on our economy, it will change the way we live our lives,” added Brendan O’Reilly, O2 CTO. “Our partnership with Arqiva reflects this belief and demonstrates our commitment to exploring opportunities to provide the increased capacity and denser coverage our customers deserve in the areas they need it most.